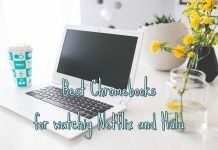 We still have a lot of love for Chromebooks here at Techosaurus Rex and I am sure you feel the same. Or you will become a fan for sure if you decide to purchase a Chromebook now. And what better time to buy a Chromebook if not during the massive discounts brought by the Black Friday deals? And if you’re looking for them, you’re at the right place as we’re going to share with you the best Black Friday 2018 deals for Chromebooks on Amazon. In case you’re reading this to prepare in advance, you should know that Black Friday 2018 will be on November 23 and that’s when all the super deals will go live. 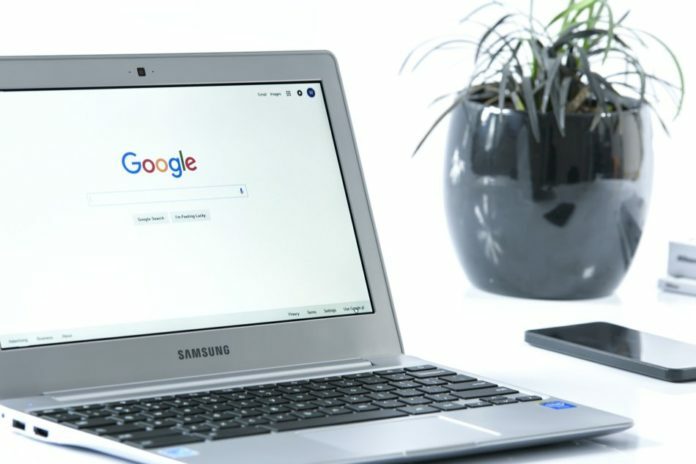 We expect this year’s celebration to come with some amazing discounts for Chromebooks and this is why we’re creating this article: to let you know about them! So we’ll be keeping an eye out for the amazing deals available for Chromebooks and we’re going to share them with you here. If you want to do all the looking yourself, you can check out the best Chromebooks (and find the best deals) on Amazon by clicking this link. Just in case we’re a bit slow and you want to catch those best deals ASAP. Until the magic begins and the day of discount prices starts, let us list below a few Chromebooks that we would not just like to see coming with amazing price cuts on Black Friday 2018, but that we also have a solid gut feeling that we’ll see discounted on November 23rd. Please have in mind that this article is written before Black Friday kicks off, so these products below might not make it to the discounts list, even though we believe (and hope) they will. This is one of the bestselling Chromebooks on Amazon at the moment of writing and it is so for all the right reasons: it is a bit larger than the regular Chromebooks, but still small and light to be extremely easy to carry around (at 12.5-inch). 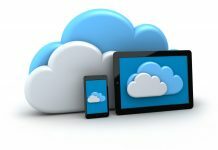 And, as its name suggests, it can flip 360 degrees, so that you can use it as a tablet (yes, it has touchscreen too) or place it just anywhere you want to. It has some really good specifications, too, offering 64GB of storage space and 4GB of RAM, all rounded up by an Intel Core m3 processor. Great battery life of over 10 hours and a bright, beautiful display make this one a really good choice if you’re looking for the perfect price/quality balance. You can click here to check it out on Amazon. Samsung’s Chromebooks are probably the best known models ever created. They always had amazing ratings online and people are extremely satisfied whenever they get one. 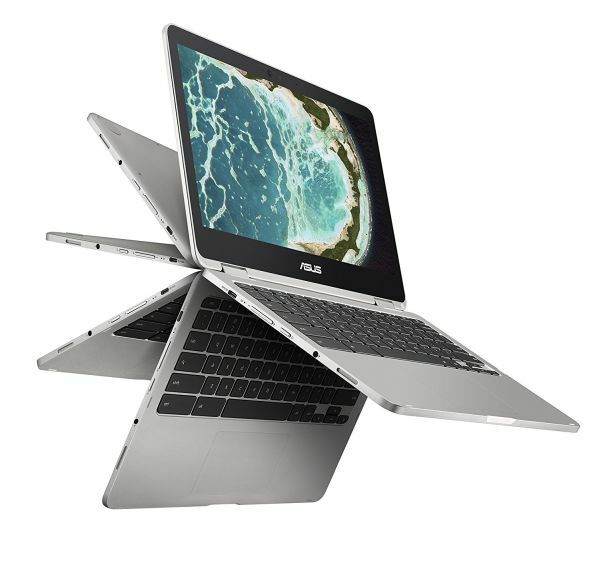 This is the traditional Chromebook – if something like that exists – and you simply can’t go wrong if you choose one. 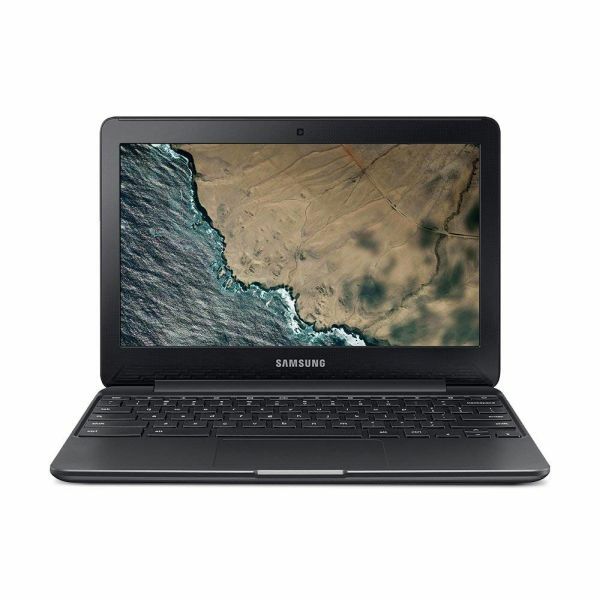 With a small screen that makes it extremely portable (11.6″), the Samsung Chromebook 3 is cheap, durable and appreciated by people worldwide. It offers just enough to keep you going without complaining about performance issues: 4GB RAM, 16 GB of eMMC storage and an Intel Celeron Processor N3060. 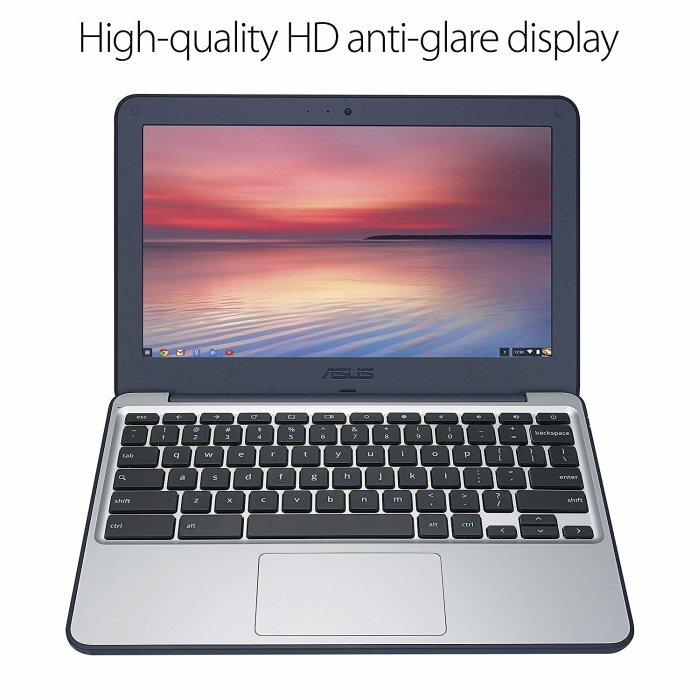 Small, yet extremely durable, this Chromebook from ASUS is ruggedized and water resistant. It looks good and packs a solid punch in terms of performance, despite its small size: Intel Celeron N3060 Processor that goes up to up to 2.48 GHz, 4GB of RAM and 16GB of storage. A really good buy so click here to check it out on Amazon. If you really want to stand out and get a truly awesome product (that also costs a bit more), then Google’s Pixelbook is the perfect choice for you! Sporting a beautiful design, this is a real beast and the first laptop with the Google Assistant built in. 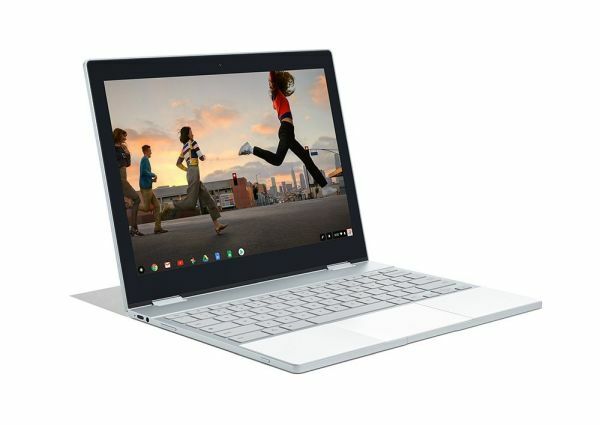 Featuring a 12.3-inch display, Google’s Chromebook has some specifications that would make many traditional laptops envious: a 7th Gen Intel Core i5 processor, 8GB RAM and 128GB of storage space. 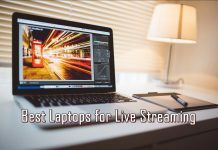 It offers over 10 hours of battery life and has a “4-in-1 design” which basically means that it works with laptop, table, tent and entertainment modes. All this top quality comes at a price, but hopefully we’ll get a nice discount on Black Friday to sweeten the deal. As I said, there’s no better time to get a Chromebook than during Black Friday and this year’s deals will really help you save a ton of money. So make sure you don’t stop here and actually buy the products that you need: it’s never a bad idea to say “Yes” to a discount!